BACK TO THE FUTURE or is there one for the Provincial Museum at Isel? 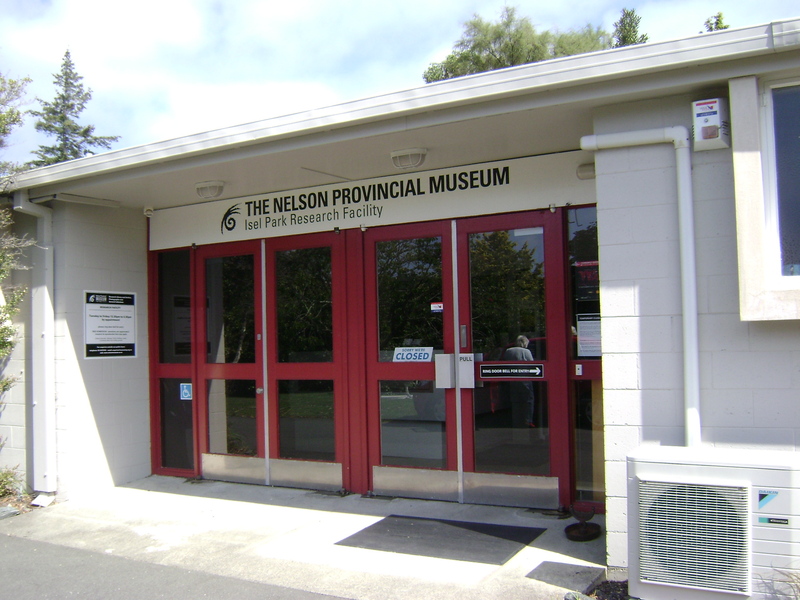 On 10th February, 2013, we joined with the Nelson Historical Society at Isel Park to celebrate the 40th anniversary of the Nelson Provincial Museum’s building behind Isel House, now acting as a storage and research facility. It was a bittersweet moment because we could not enter the building. It had been closed by the museum authorities only a few days before to both workers and the general public because the mezzanine floor in particular does not meet the current earthquake building code. 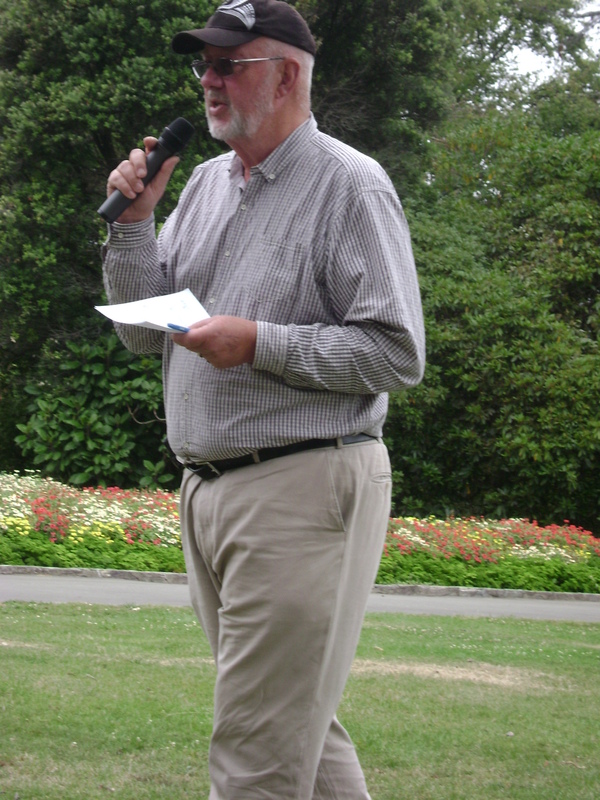 Peter Millward, Manager of Nelson Provincial Museum, explains the current problems with storage at the Isel Park facility. The Isel Park Research Facility on the day we celebrated its 40th Anniversary – currently closed because of earthquake risk. 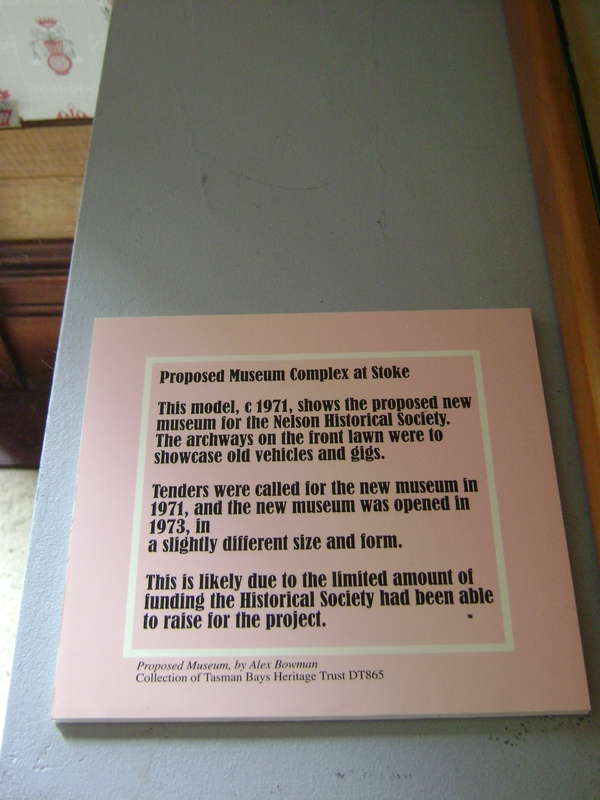 Nelson Historical Society President, Karen Stade, gave us the background history of the current building which had originally been designed as a much larger structure and Peter Milward, the current Manager of the Nelson Provincial Museum explained the steps taken by the structural engineers in reaching their conclusions and the actions which he was forced to take in closing it. Everyone is in limbo until the local authorities make a decision about the long-term future of what is a very cramped, and inadequate building for the needs of the province into the future. Staff are currently working off-site and the public has no ability, except for internet material, to access stored records and artefacts. We wait in hope. 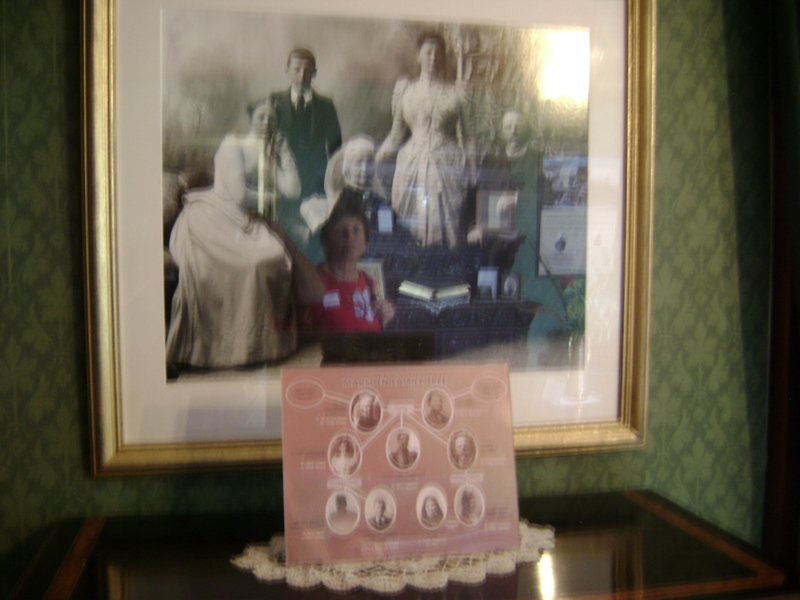 Cathy Vaughan takes an interest in the Marsden family. 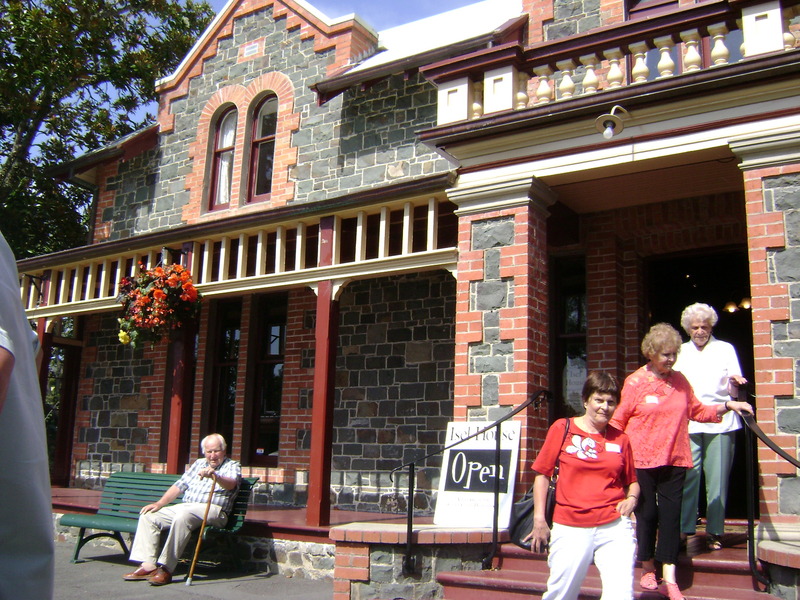 Members leaving Isel House which is still open to the public. 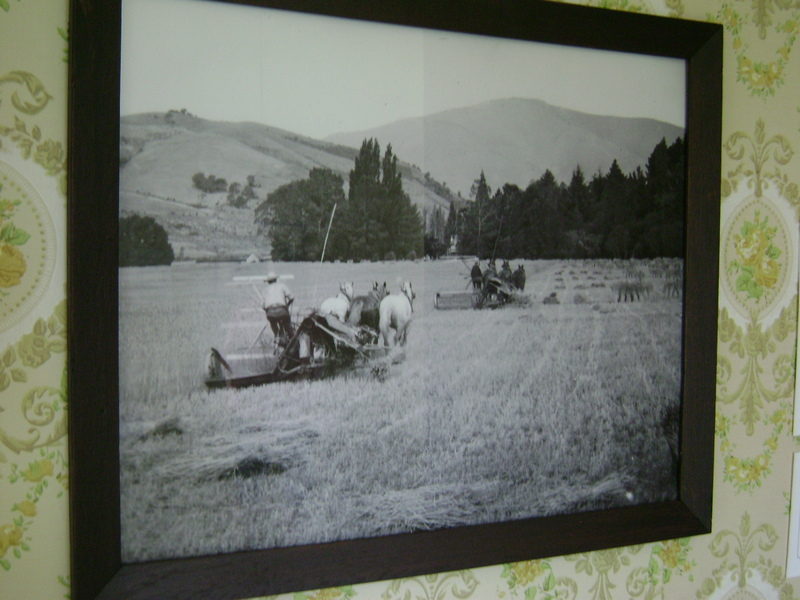 Harvesting wheat on the Marsden farm at the turn of the 19th Century. 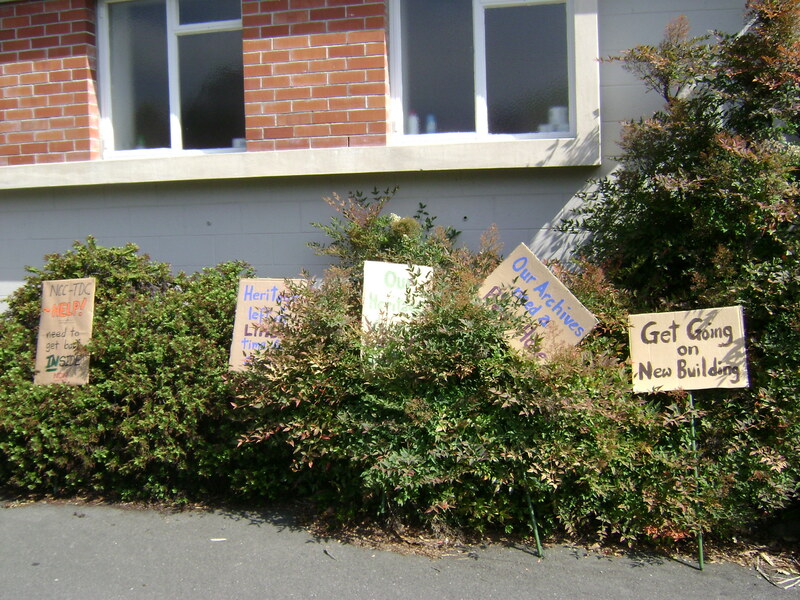 Protesters’ placards stress the urgency of the now unusable Research Facility at Isel Park. 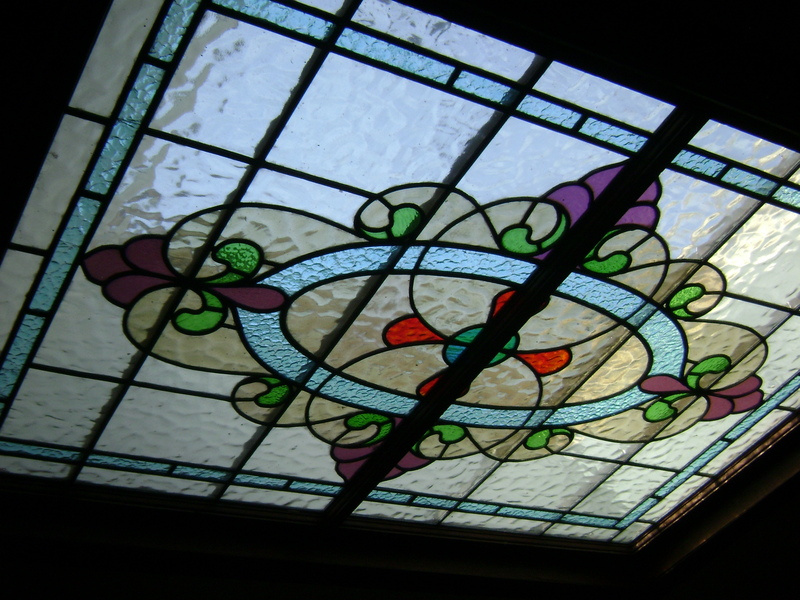 A stained glass skylight lights the upstairs landing. 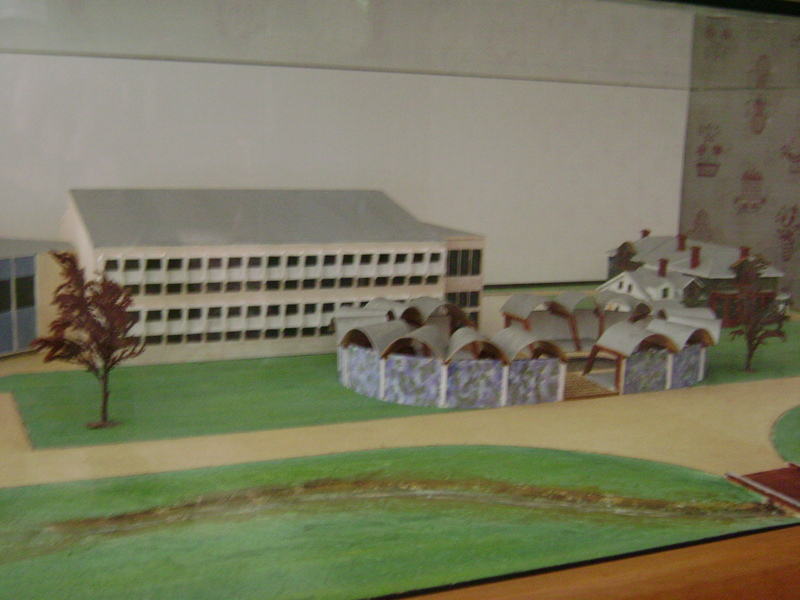 A model of the original concept of the district museum only part of which was built. 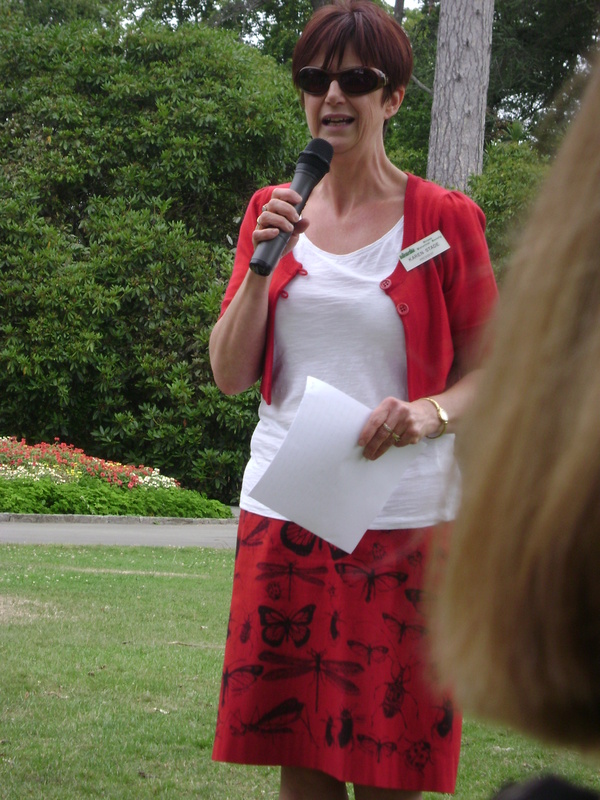 There was no cake but Isel House staff (Sally and Alistair Papps) provided us with an excellent Devonshire afternoon tea. 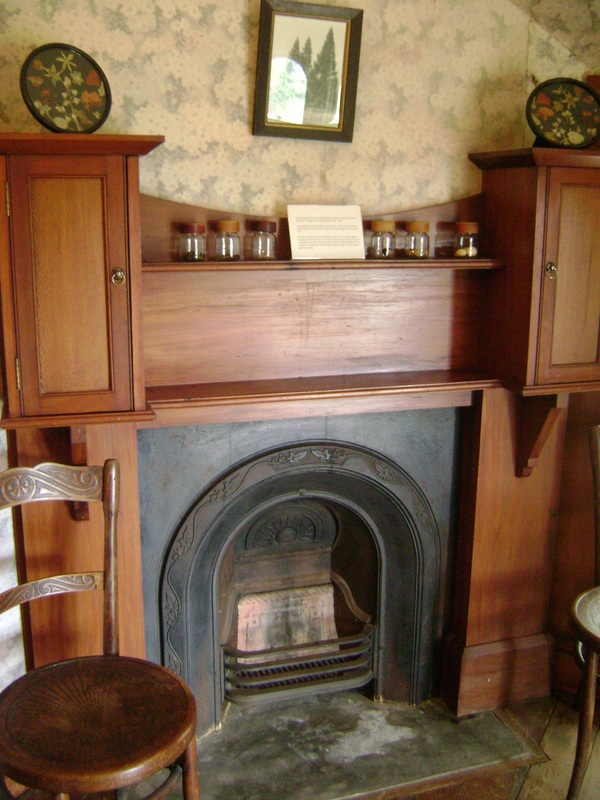 A fireplace in one of the upstairs bedrooms. 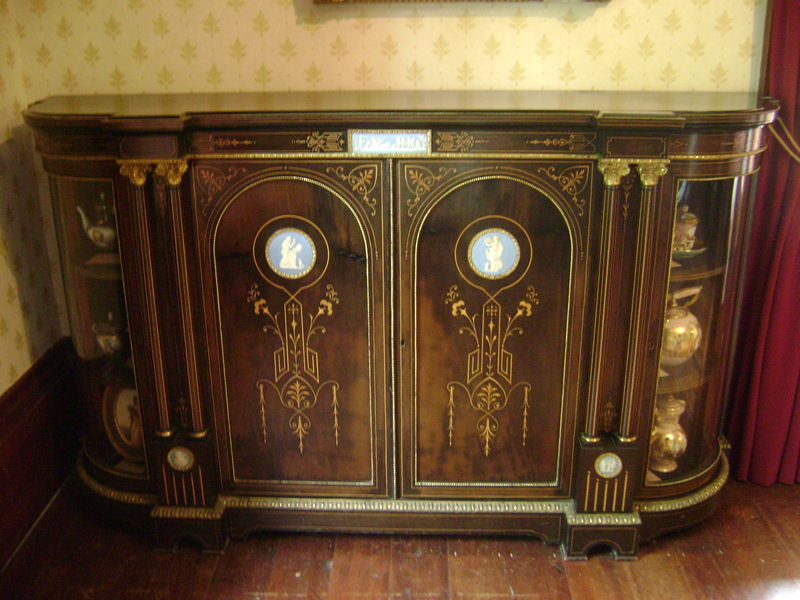 An intricately inlaid sideboard and china cabinet from one of the museum’s collections. 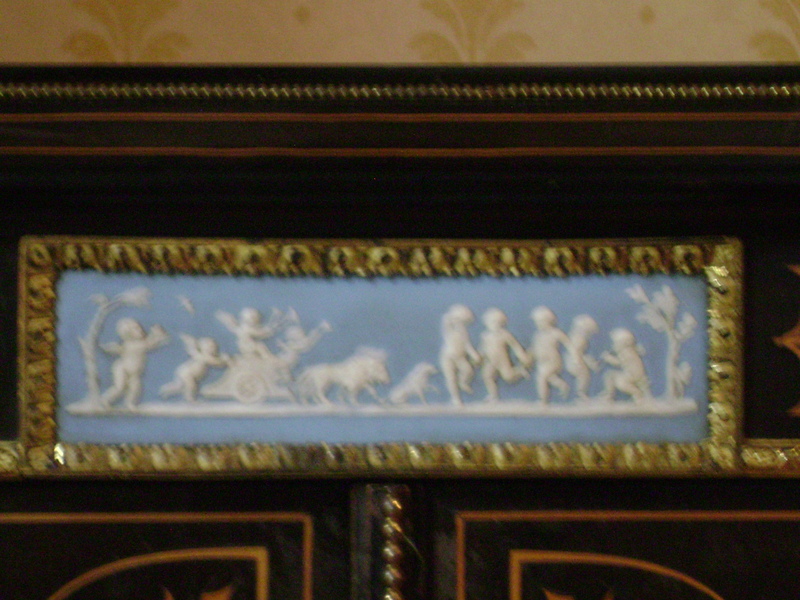 Inlaid ceramic detail decorates this sideboard. able to tour Isel House (which has not been rated an earthquake risk) and discovered much to admire and wonder at. 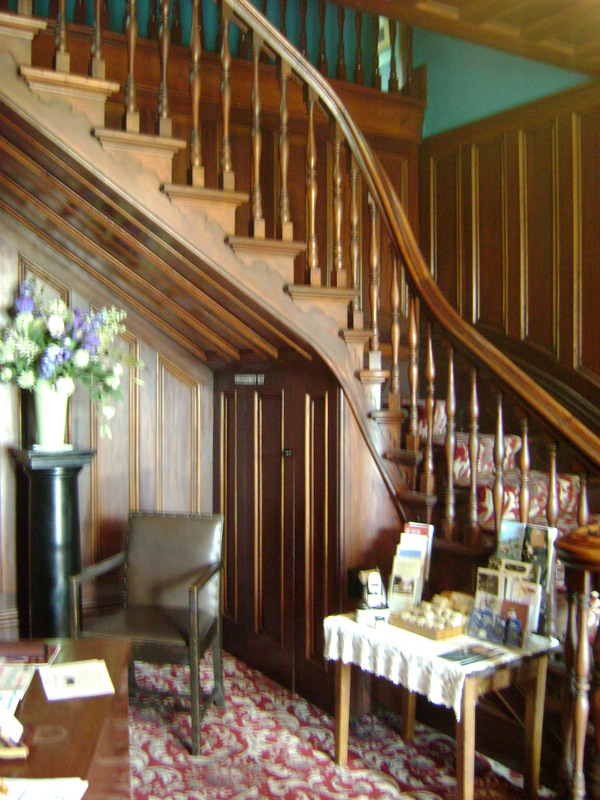 Inside Isel House the staircase from the entrance hall leads to the second floor bedrooms. 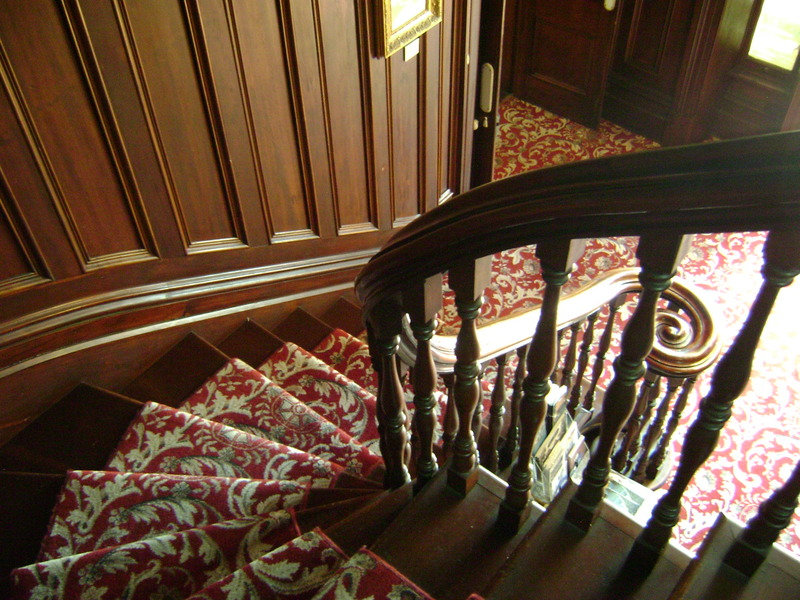 The stairs and the magnificently curved wooden banister. 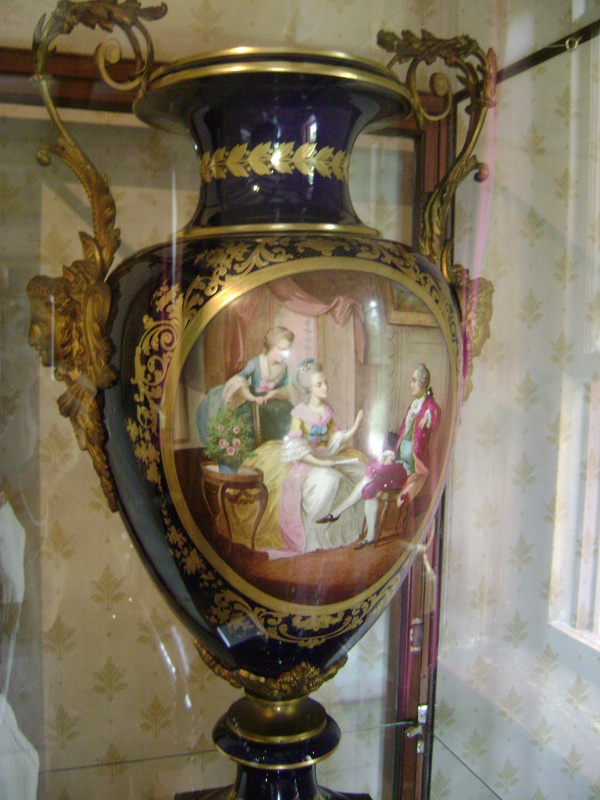 A magnificent porcelain vase from one of the museum’s collections is housed at Isel.